A bye this week, three home games, two away and another bye, then we hit September. The destination is unknown, but the path is set. Let's hit it running! With only seven minor rounds left in the 2016 IGA SANFL Season the Panthers are in a poised position to attack into the finals. Currently sitting in third position on the ladder, just a game behind the Eagles and Sturt, South Adelaide have had a great season so far. A hot six-game win streak took them off to the best start to a season since 1965. Although as it tends to do, the injury bug did eventually bite. In the space of two weeks, Tarak Redigolo went down with a season ending knee injury and Emmanuel Irra hurt his ankle and was forced to the sidelines for a month. To make it even worse Daniel Bass was handed a two week suspension and Brad Crabb also got given a week's vacation by the Match Review Panel. Due to missing a cohort of key first-21 players, the Panthers lost two games to Port Adelaide and Sturt, bringing an end to the streak. However, South were able to regain their composure, and after regaining some stability in their lineup, were sitting third on the ladder with a win/loss record of 7-2 by the halfway mark of the season. The first half of the year gave South a great opportunity to get out to a strong start, with six of their first nine matches being played at Hickinbotham Oval. They did just that. Since then, the Panthers have paid for their early home advantage with a string of three matches away from Noarlunga in their last four. South split this period 2-2, with impressive wins against Port Adelaide (home) and Norwood (away) and despite disappointing losses to Glenelg at Gliderol Stadium and the Eagles in Woodville, the Panthers still sit in third position. Undefeated at home up until this point in the season, having won all seven fixtures, Noarlunga continues to be a difficult ground to play at for opposing sides. 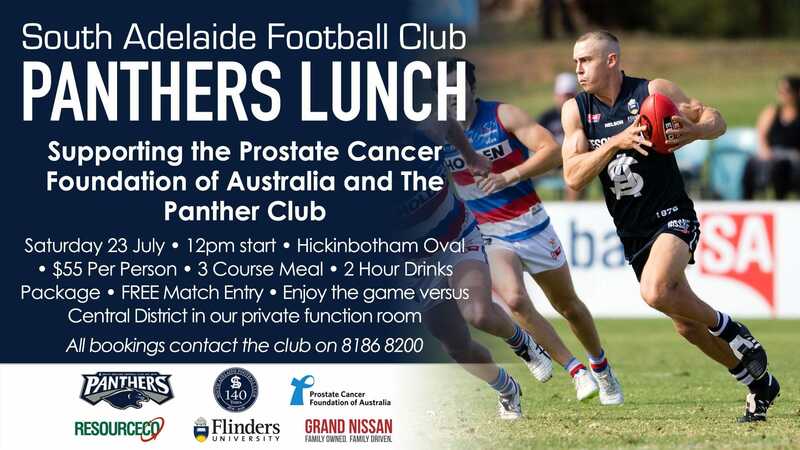 Having just endured three rounds away from home the Panthers play three of their last five in the comfort of Hickinbotham Oval's wide expanses. Although maintaining their undefeated home record will be no easy task considering they are coming up against top five sides in Central District (currently sitting fifth), Sturt (second) and then Adelaide (fourth) to round out the season. 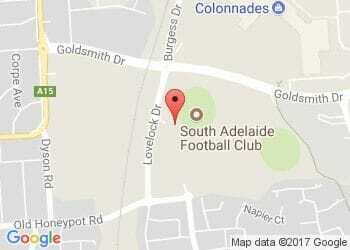 The other two matches come against sixth-placed North Adelaide and last-placed West Adelaide. Despite their lower ranking, it will be important for the Panthers to bring their A-game, as we know that no victory is a sure thing, regardless of ranking, in the SANFL. On the same note, despite being in a strong position, South have not yet clinched their finals birth, as there is still a lot of season to be played and there still a technical mathematical chance for them to fall out of the five. However, before we overact, Finals footy is also not certain for league leaders Woodville-West Torrens and Sturt. This is more a reflection of how even this competition is this season. After Adelaide defeated then first-placed Sturt in Round 15, the top of the ladder is closer than ever. The Eagles sit first on percentage, equal in wins with Sturt, South are in third only behind the aforementioned by just one game. One win behind South are Adelaide and then another win back is Central District. Attack! Attack! Attack! 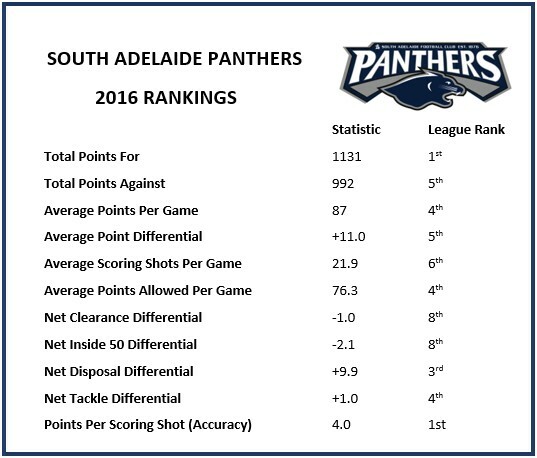 The story so far tells that South are one of the most potent offensive teams in the SANFL this season. In saying this, South Adelaide has played one more game than each of these teams and therefore has an extra bye in the final stretch of the season. Due to the tight competition at the top of the ladder South has the opportunity to finish as high as first but are also threatened by the chance of dropping out of contention. With this in mind the rest of the season is more important than ever. If the Panthers are able to maintain their dominance at home, then it will put them in a strong position to remain at worst still in the top three. With a bye this week we have a chance to evaluate the opposition and prepare for the final stretch of the season. Next week is our first opportunity to come back strong and assert ourselves yet again as finals contenders, with our first home game in over a month. A win against fifth placed Centrals would take us one step closer to clinching a spot in September, requiring Port Adelaide to win all of their remaining games, us to lose all of ours and then the Magpies to also hold a superior percentage if they want to kick us out of the five. Make sure you get out to Hickinbotham Oval next week for the Top Five clash between South Adelaide and Central District. Keep your eyes on the website next week for game previews, injury reports and teams for Round 17, as well as content on Matt Rose's 100th game and the next installment of Flashback Friday. And in the meantime, don't forget our Under-18s are taking on Woodville-West Torrens this Saturday, July 16 from 11.25am at Hickinbotham Oval. With no Senior action this weekend, why not get behind the Juniors!